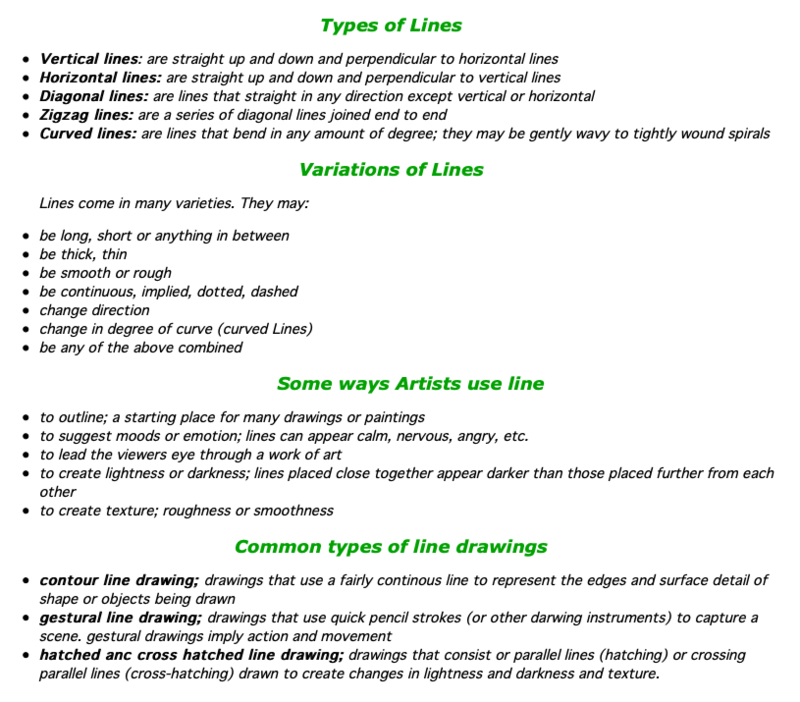 Line is a mark on a surface that describes a shape or an outline. It can create texture and be thick and thin. 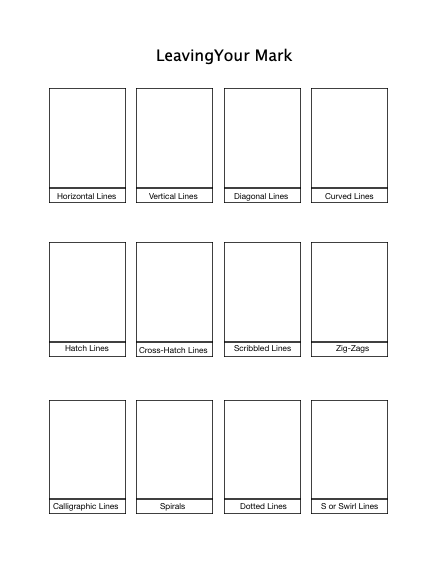 Types of line include actual, implied, horizontal, vertical, diagonal and contour.